Our range of products include paper embossing machine, paper embossing machines, gold foil embossing machine, foil embossing machine, foil embossing machinery and aluminum foil embossing machine. 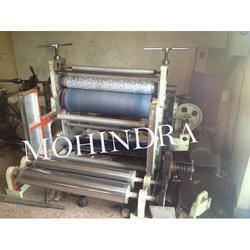 We are one of the leading manufacturers of Paper Embossing and Graining Machine etc. We are one of the leading manufacturers of Paper Embossing Machines. We are one of the leading manufacturers of Gold Foil Embossing Machine, Graining Machine, etc. We are one of the leading manufacturers of Foil Embossing Machine. We have the talented team of workers, who perfectly design these embossing machines as per client want from us. 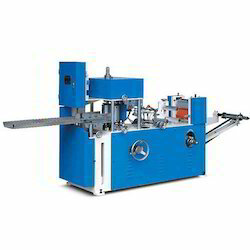 The offered embossing machines are specially manufactured by using top notch components along with latest technology. After examine it properly by our quality department we dispatch it from our side at affordable rates. 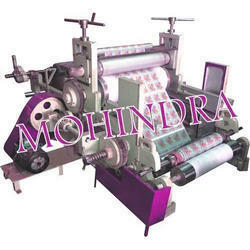 We are one of the leading manufacturers of Paper Embossing Machine. 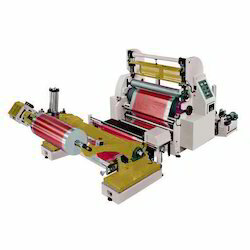 Our group of experts manufactures this paper embossing machine by using top notch quality components and modern techniques as per the industry standards. Also, it is tested on numerous parameters to reassure its flawless range. We are one of the leading manufacturers of Foil Embossing Machinery. Our offered range of foil embossing machines is accurately designed at our own well-furnished manufacturing unit consist of latest technology and equipment. 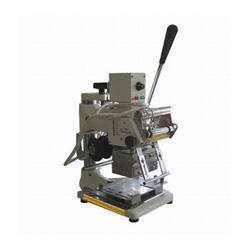 Moreover, we dispatch these foil embossing machines from our end after examine it properly. Along with that, our reputed customers can get the offered range of foil embossing machines numerous stipulations at affordable rates. We are one of the leading manufacturers of Aluminium Foil Embossing Machine. This is manufactured by making use of superb components along with modern technology at our own manufacturing unit. For the conformity of its quality our quality department perform series of tests o this foil embossing machine. Along with that, we offer our foil embossing machine according to the necessities of the customers at nominal rates. 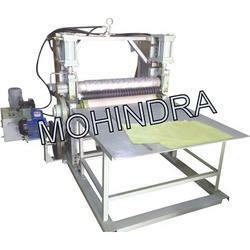 We are one of the leading manufacturers of Paper Graining Machines and Graining Machine etc. We are one of the leading firm offering Paper Graining Machine. We are one of the leading manufacturers of Paper Card Embossing Machine. 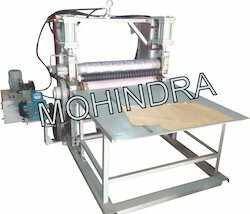 Our team of experts manufactures this ingraining machine by using top notch quality components and modern techniques as per the industry standards. 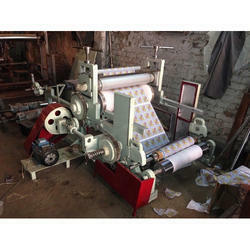 The provided range of ingraining machine is used for printing purpose. Also, it is tested on numerous parameters to reassure its flawless range. Offered Wedding Card Embossing Machine is completely designed at our own production unit with the usage of advanced quality components and modern technology as per the quality standards defined. Because of its amazing features & quality, this embossing machine has become the first selection of the patrons. We try to assure our clients that the range of embossing machines given by us is excellent on counts of performance, durability and its quality. We are one of the leading manufacturers of Foil Embossing Machine. Our offered range of foil embossing machines is accurately designed at our own well-furnished manufacturing unit consist of latest technology and equipment. 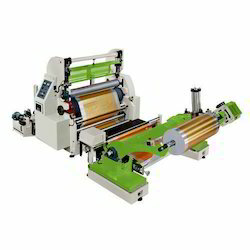 Moreover, we dispatch these foil embossing machines from our end after examine it properly. Along with that, our reputed customers can get the offered range of foil embossing machines numerous stipulations at affordable rates. Looking for Paper Embossing Machine ?